Olives are available in markets year-round to serve as a great addition to salads, meat dishes and of course - pizza. Olives are the fruit of the tree, known as the Olea europaea. "Olea" is the Latin word for "olive oil / vegetable oil", responding to their high fat content, and "Europaea" reminds us that olives are from the Mediterranean region of Europe. Some of the many available types of olives are Moroccan, Kalamata, Nicole, picolines and Manzanilla. 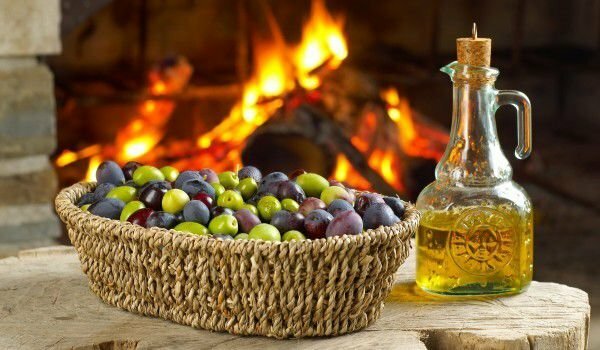 It is believed that the olives - one of the oldest foods - descended from Crete 5-7 thousand years ago, and olive oil appeared three thousand years ago. 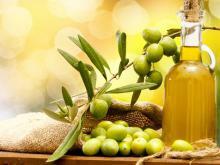 Today biggest commercial olive growers are Spain, Italy, Greece and Turkey. Olives can not be eaten immediately after being picked from the tree. 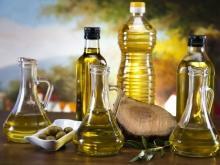 They require the application of special methods to mitigate their inherent bitterness that are applied depending on the olive variety, region where it is grown, the desired taste, color and texture. Some olives are removed green and unripe, while others are allowed to fully ripen on the tree and gain a black color. Some processing methods expose raw green olives to air. After oxidation they get the subsequent darker color. In addition to the natural color of the olive tree, their color depends on fermentation, as it can be done by marinating it in olive oil, water, and salt. Olive is the oldest cultivated tree known to mankind. They were first cultivated in Syria and Crete, more than 5000 years ago. Around 600 BC olive trees reached Italy, Greece and other countries of the Mediterranean. The city of Athens is named after Athena who brought the olive tree. Historically, the olive has a very important role not only in cooking but also in religion and art. It is known as a symbol of peace, wisdom and victory. During the first-ever Olympic, victors were crowned with wreaths of olive branches. 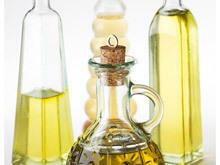 Many saints are anointed with oil, and Moses even exorcised military men who cultivated olives. Olives contain a whole range of substances necessary for the body. They are rich in vitamins A, D, B and E, which makes them very good antioxidants. 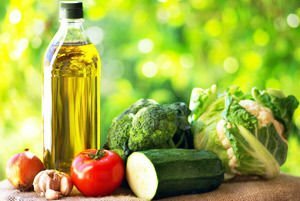 Olive the supplies organism with omega-6 and omega-9 monounsaturated fatty acids, which it is not able to reproduce itself. Olives contain a lot of protein, carbohydrates, pectin, and the minerals - mostly calcium, phosphorus and potassium. 100 g of olives contain 290 calories, 75 g water, 3.8 g carbohydrates, 42 mg potassium, 11 mg magnesium, 52 mg calcium, 1.556 mg sodium, 15.3 g fat, 3.3 g fiber, 4 mg phosphorus, 14.65 g fatty acids, and 231 mcg beta carotene. - Natural Greek olives stuffed with Pimentel - these olives are grown in Greece for centuries. They are stuffed with the red pepper variety - pimento, which gives them their irresistible taste. Serve with cold white wine. 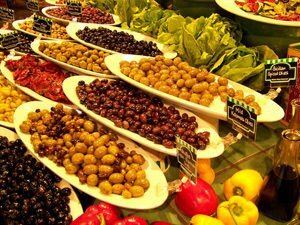 Buy olives in bulk, as this will allow you to experiment with different types and sure quality. Furthermore, whole olives are sold and those stuffed with almonds, peppers, garlic and more. Whether you buy them in bulk or not, always look in them for remaining liquid as it keeps them moist and prevents them from drying out. If you need to store them for a long time, you can put them in plastic bags in the refrigerator, but it is likely that they will dry out, so I recommend putting them in different marinades - in oil, brine, marinate with olive oil, sage, thyme, rosemary and others. Vacuum packed olives in brine can be stored up to one year. Olives are delicious and useful, making them one of the most consumed products. Olives combine well with fish, feta cheese, cottage cheese and cheese. Used in many pizzas and pastas, but can be eaten alone and in combination with an appropriate wine. As mentioned earlier olives are an integral part of the cuisine of the Mediterranean. 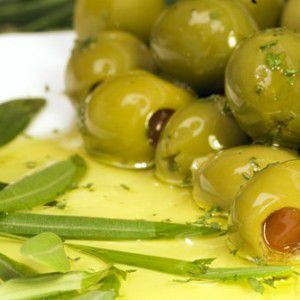 Small olives are used in salads and cold appetizers, medium-sized complement the taste of pasta and pizza, and the largest are used for filling. Black olives are added to meat and game dishes, and green - cold fish dishes. Absolutely all olives harmonize well with wine. Black olives are well complemented by white and rose wine and green - with red wine. 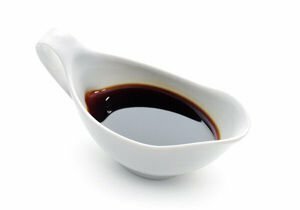 • You can easily make olive paste for using over a slice of bread or in addition to fish or birds. It is fast just mix a little olive oil, garlic and your favorite spices. • Add chopped olives to your favorite chicken or tuna salad. 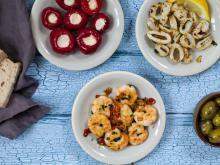 • Prepare a small bowl of olives along with various other appetizers to serve to guests. Olives are concentrated in monounsaturated fats and a good source of vitamin E.
• Protect cells against free radicals. 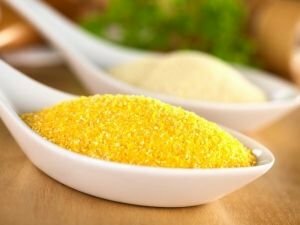 Vitamin E is the major lipid-soluble antioxidant in the body. 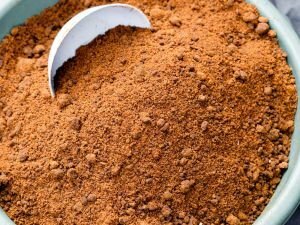 It neutralizes free radicals directly in all areas of body fat. • Prevent heart disease. Free radicals can lead to various diseases. 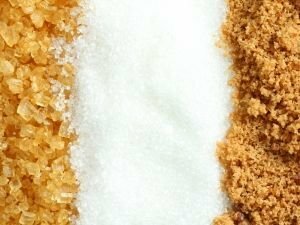 For example, when they cause oxidation of cholesterol, oxidized cholesterol in turn damages the blood vessels and increases the risk of heart attack or stroke. • Protect us from bowel disease. If free radicals damage DNA in cells of the colon, these cells can mutate into cancer. By neutralizing free radicals, the nutrients in olives protect us from colon cancer. • Have anti-inflammatory effects. Anti-inflammatory actions of monounsaturated fats, vitamin E and polyphenols in olives may also help to reduce the risk of asthma, osteoarthritis and rheumatoid arthritis.